‘’I’ve always loved Champagne. Not just to drink, of course, or to cook with, but to visit. Seeing those vineyards spread like patchwork picnic blankets over the hills around Reims and Epernay never fails to lift my spirits’’ Gordon Ramsey. 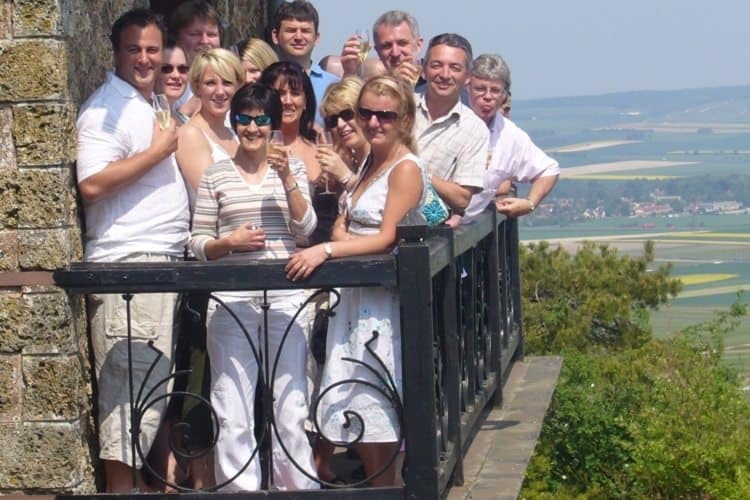 Team Tactics have created a very special two day experience in the famous Reims Champagne region for corporate guests. 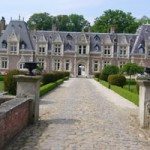 With our exclusive arrangements guests will enjoy fabulous visits to the famous Ruinart Champagne house as well as several smaller houses. Your English speaking guides will instantly make you feel a friend visiting their home. We’ll also advise you on several hotels in the region and make arrangements at your chosen hotel. Guests of our VIP Champagne Trips will enjoy special insights into the process behind the legendary French Champagne houses. The Ruinart cellars are so spectacular as an impressive staircase leads the way into a spectacular network of cellars more than 30 metres below ground. These cellars include chalk pits listed as historic monuments. The Ruinart cellars are often compared to underground cathedrals just lit by a pale shaft of light where a constant and natural temperature of 11°C/50°F prevails. Day 1. Guests will arrive in the Champagne region and check into their chosen hotel. In the evening you and your guests will be transported to the famous Ruinart Champagne house, which will be at your disposal for the evening, for a fabulous cellar tour followed by a 5-course dinner, naturally served with Ruinart Champagne. Both fun and appealing, the Celliers Ruinart tour unveils the tradition and secrets behind the great Champagne Brand and the family behind it. Day 2. 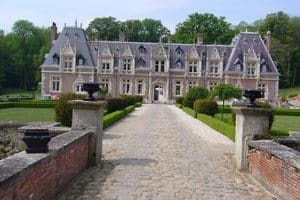 Having experienced the previous day at one of the oldest Champagne houses, guests will enjoy the invigorating Reims fresh air, visiting a smaller Champagne house and it’s vineyards. 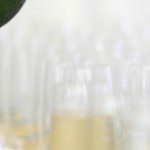 You’ll experience their hospitality, enthusiasm and knowledge as they offer you a different insight into the world of Champagne. 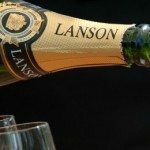 The owners will offer unique insights into the vines that they know better than anyone and share their passion for making producing Champagne, into which they pour all their personality and knowledge. 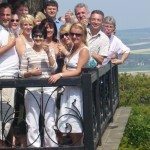 Please note this is a sample Champagne tour and we can offer a range of accommodation, dining and Champagne tour options. A fascinating experience and not one that you would consider treating yourself to… Brilliantly organised and professional…. fantastic food in outstanding surroundings… Our best ever Christmas function…. even if it was a bit late! The Windmill lunch was the pinnacle of a truly fabulous weekend. We all had a great time and enjoyed the informative stuff around Champagne and its history which wasn’t too heavy for us. It was also fascinating that even the blokes gave up beer for the weekend such was their enjoyment of the different Champagnes that we sampled.